It's definitely spring time around here. The temperature is ideal. I took my winter coat to the dry cleaners today, so winter had better be over. I went to a Nationals baseball game yesterday. I have only been to a handful of professional baseball games in my life, and I'm not sure what I think of the game. There was only one point scored yesterday. It would be an understatement to say the game was slow. My favorite part is eating food (of course) and talking to people. The atmosphere is fun, but I pay little attention to the game. There were a few times last night I was unsure what inning we were in. 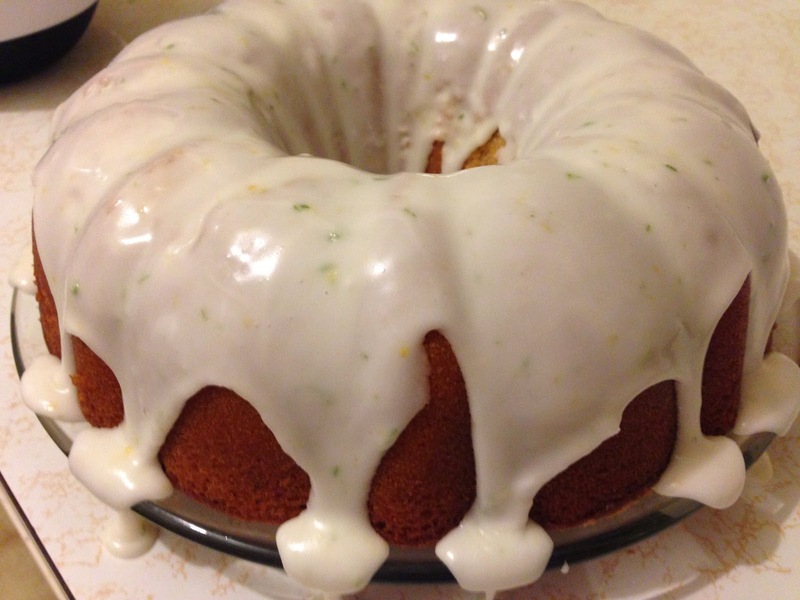 In celebration of spring, I made a lemon lime pound cake. I got the recipe from the Pioneer Woman. 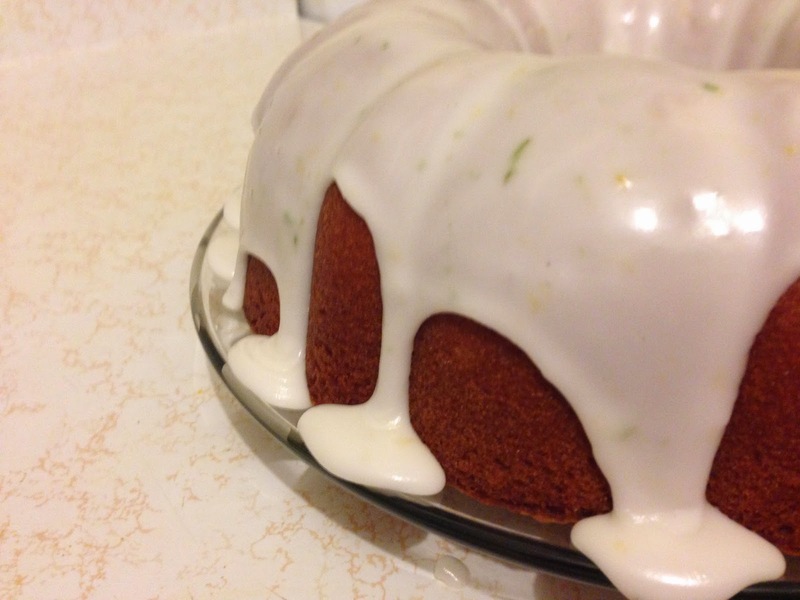 It is interesting because it has no leavening agent and uses lemon lime soda. It was was dense, rich, and toothsome. 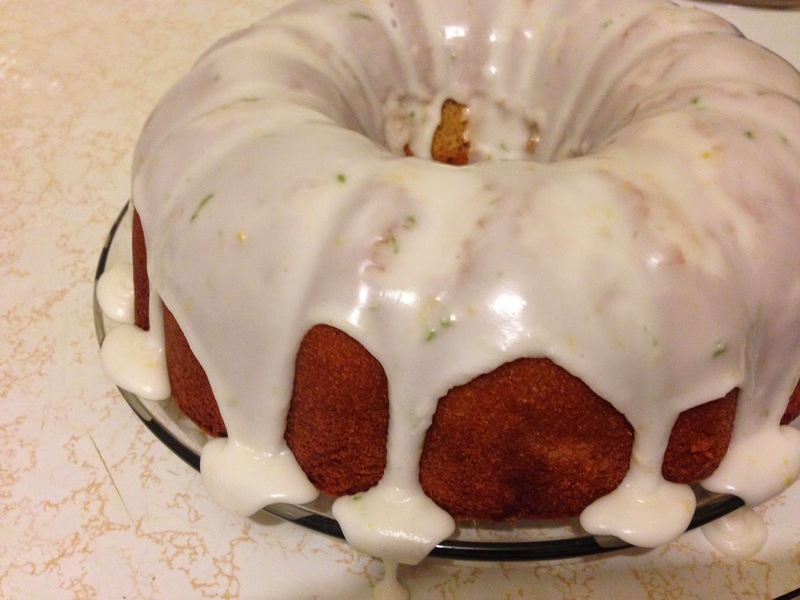 The cake ingredients are 3 sticks butter, 1 3/4 cups white sugar, 1 cup brown sugar, 5 whole eggs, 3 cups all purpose flour, 1/2 teaspoon salt, 1 cup lemon lime soda, 1 tablespoon lemon zest, and 1 tablespoon lime zest. The recipe calls for 3 cups of white sugar, but I ran out and had to improvise with brown sugar. I used a little less sugar than recommended, but it was sweet enough. 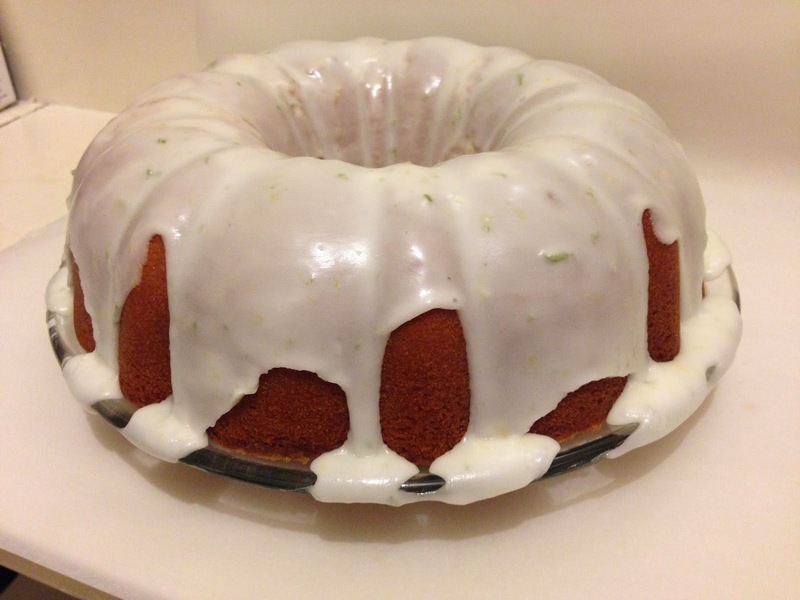 The glaze ingredients are 2 cups powdered sugar, 1/4 teaspoon salt, 1 tablespoon lemon zest, 1 tablespoon lime zest, 1 tablespoon lime juice, and 2 tablespoons lemon juice. She only used a tablespoon of lemon juice and a tablespoon of water, but I like a strong lemon flavor. I creamed the sugar and butter together. I added the flour and salt one cup at a time and stirred after each addition. I slowly added the lemon lime soda, stirring the entire time. 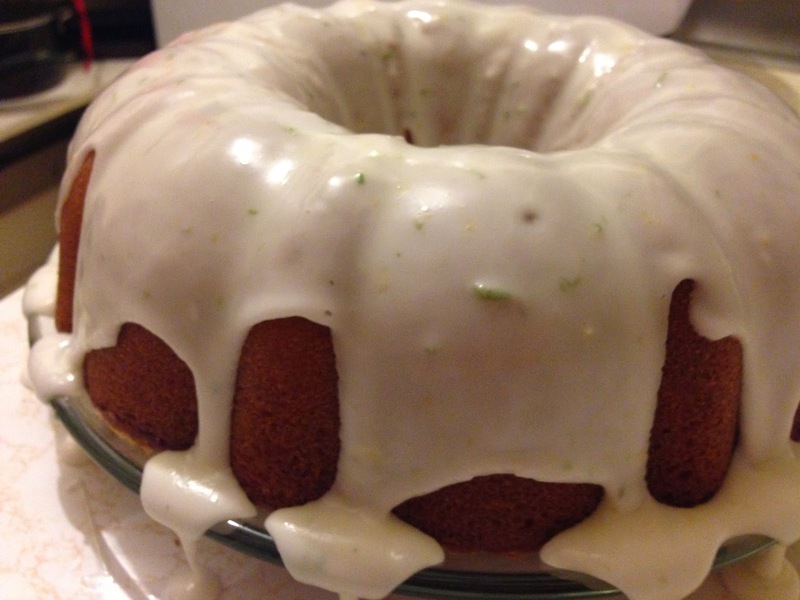 I added the lime and lemon zest. I greased the bundt pan well and poured the batter in. I tried to make the batter as even as possible. I baked the bake for an hour and 10 minutes at 325 degrees F. I let the cake sit for 10 to 15 minutes in the pan to cool a little before turning it out on a cooling rack to cool completely. I combined all the icing ingredients together in a bowl. I added the lemon juice a little at a time until I had the consistency I wanted. 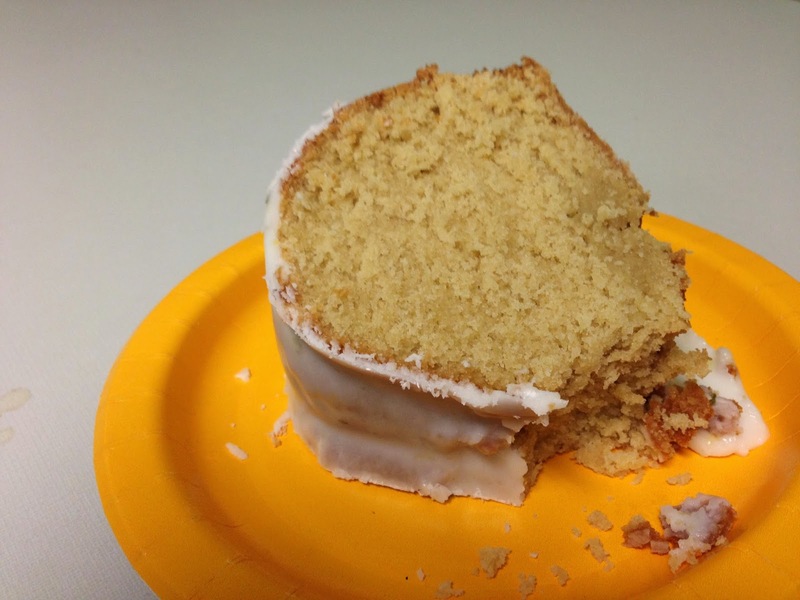 I slowly poured the glaze over the cooled cake. 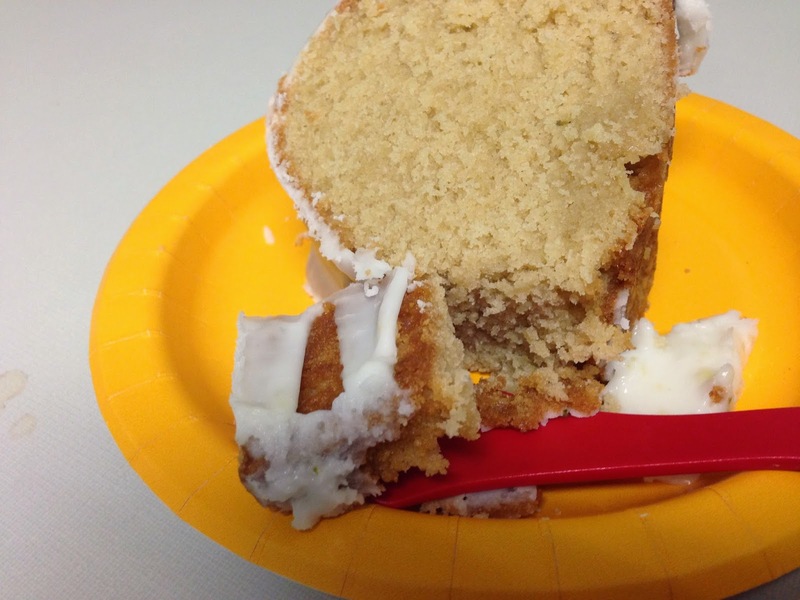 I added it on top of the cake and it oozed down the sides of the cake. I let the glaze harden over night before taking it to work the next day. It was rich and sweet. 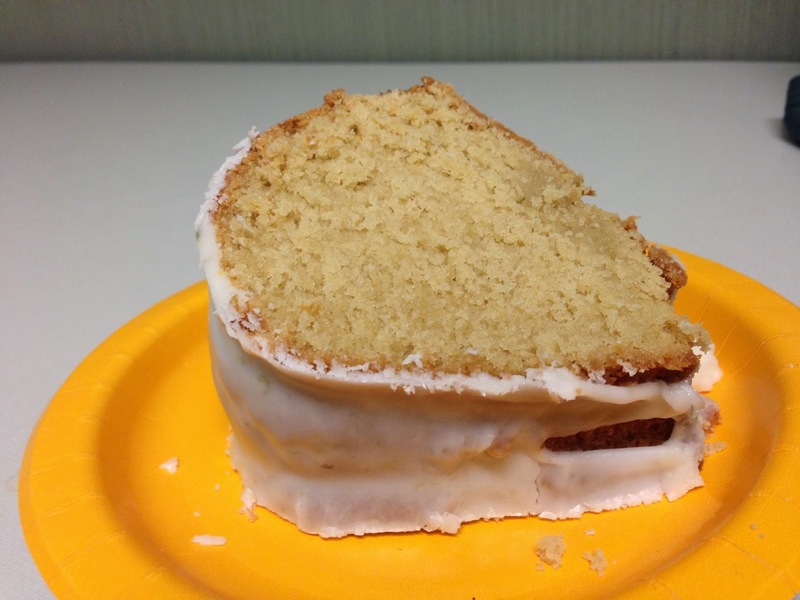 Pound cakes are a little denser and more decadent than your average cake, and this one didn't disappoint. If you're looking to lose some pounds, this isn't for you. Luckily I took it to work, so I didn't end up eating all by myself. 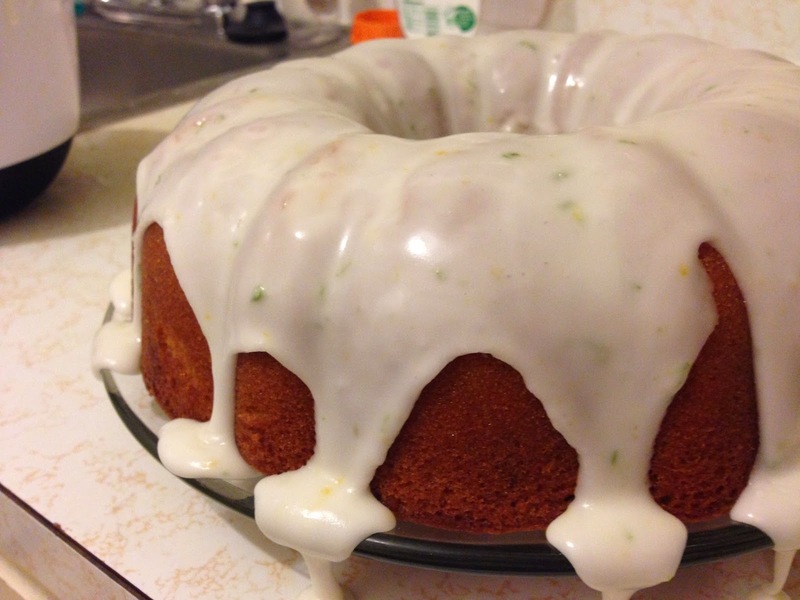 The actual cake isn't as citrusy as I anticipated, so I'm glad I added a little extra lemon juice to the glaze. Double citrus sounds good to me! This cake looks great! 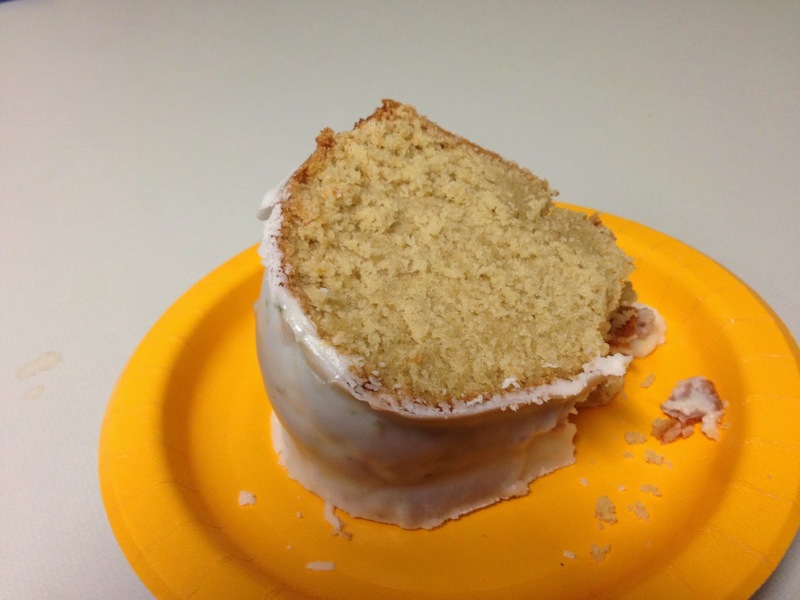 Mmm I love pound cake. That glaze looks perfect!